Hey everybody, so today I decided to do a post about what’s in my bag. 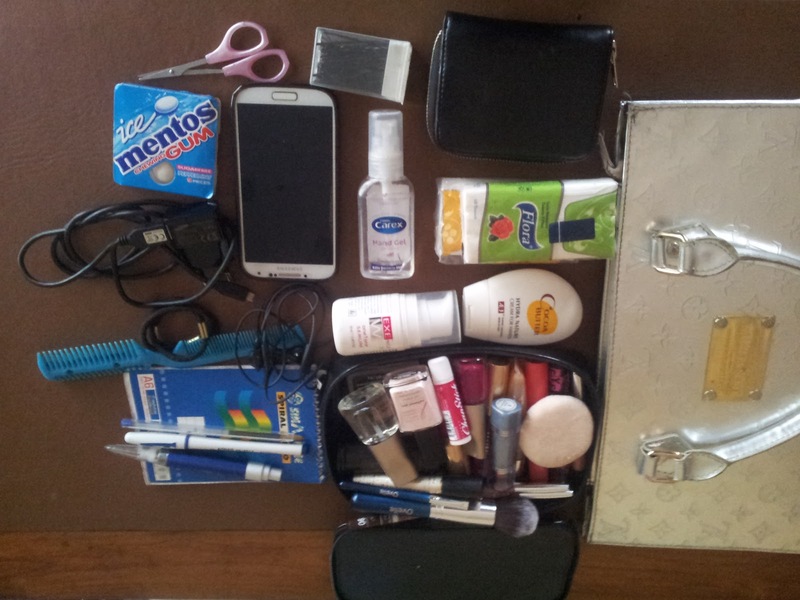 These are the stuff i carry in my bag whenever im stepping out. So let’s get started. 1) My phone : yes, the one thing I can’t go out without. 4) Cocoa butter hand cream: makes my palm feel soft and it smells good too. 5) Chewing gum: yeah, I love me some gum. 6) Tissue: tissue is a necessity for me cos I’m always misplacing my handkerchief. 8) Phone charger: My phone’s battery is not that reliable so I carry my charger everywhere I go. 9) Scissors: cos you never know when you might need it. 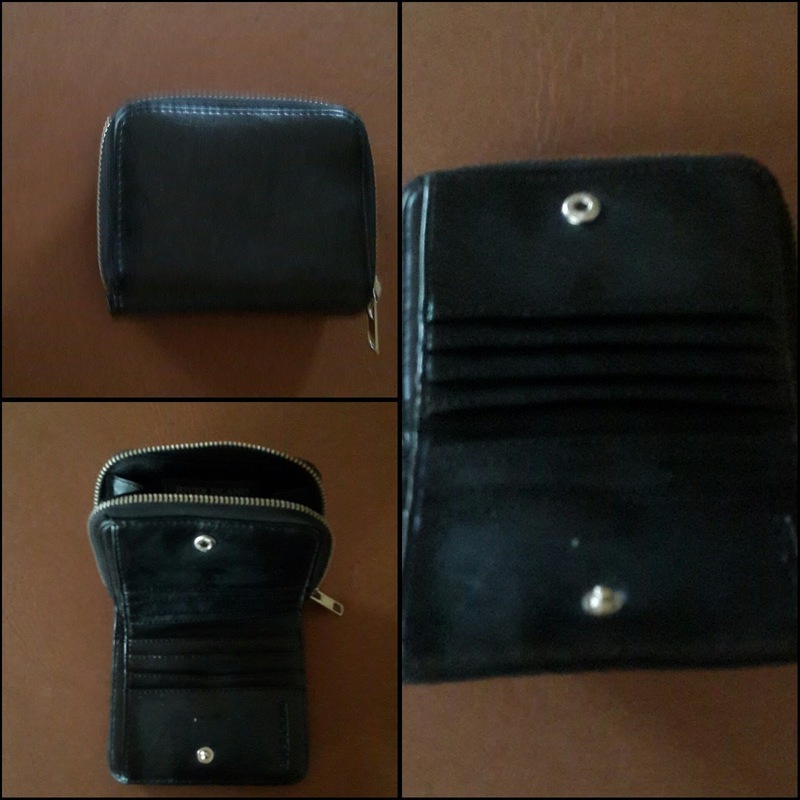 13) Purse: Love this purse cos it’s got a side for notes and another side for coins. 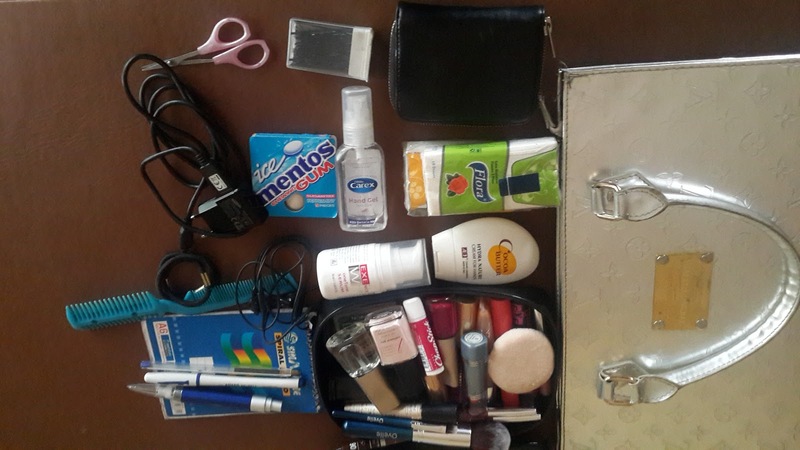 14) Make up bag: this contains all my makeup essentials like lip color,pressed powder,chapstick etc for touch up in the course of the day. Will make another post about what’s in my makeup bag later. What stuff do you carry in your bag? Previous Post WHAT’S YOUR STYLE?